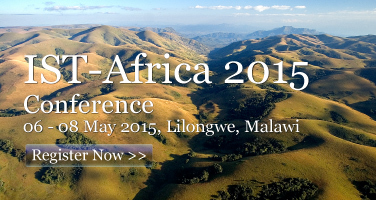 Hosted by the Government of Malawi through the National Commission for Science and Technology, and Supported by the European Commission (EC) and African Union Commission (AUC), IST-Africa 2015 (May) is the tenth in an annual series of Ministerial Level Technology Research Conferences. 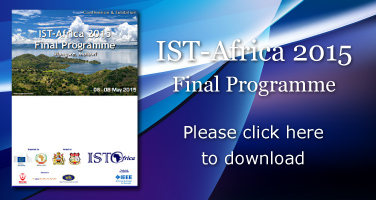 The IST-Africa Conference Series is part of the IST-Africa Initiative, co-funded under the European Framework Programme since 2005 - current Contract No. 611795. 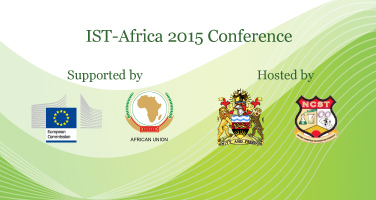 The 5th Annual IST-Africa Living Lab Thematic Working Group meeting will take place on Tuesday as a pre-conference event with other co-located multi-lateral and bi-lateral meetings taking place during the week. The Final Programme featured an Opening and Closing Plenary Session and a Scientific Programme with 34 thematically focused sessions featuring over 160 presenters from public, private, education and research organisations in 38 countries. The IST-Africa Living Labs Working Group meeting was on Tuesday 05 May. This participatory Working Group Meeting builds on progress achieved at previous IST-Africa Living Labs Working Group Meetings (IST-Africa 2011 - establishment of EU - AUC Living Labs Taskforce for Africa, IST-Africa 2012 - establishment of new Living Labs in Tanzania, IST-Africa 2013 - introduction of Living Lab concepts in Kenya, IST-Africa 2014 - - introduction of Living Lab concepts in Mauritius). Cunningham, P. (2013) proposes that: "Living Labs are environments or a methodical approach focused on user-driven open innovation. End-user communities collaborate with Innovation Stakeholders (public, private, education and research, societal and funding sectors) in real-life settings to co-create innovative products, services, processes, business models or policies, or adapt existing ones, to better match market or societal needs. Successful deployments can be replicated or networked to achieve scale and wider impact ". This 5th Annual Working Group Meeting which will take place on Tuesday as a pre-conference event provides an opportunity for all key Innovation Stakeholders to (a) learn more about the potential of leveraging Living Labs methodologies for socio-economic development and (b) contribute to the establishment of a network of experts and key stakeholders committed to supporting national and cross-border Collaborative Open Innovation in Africa.